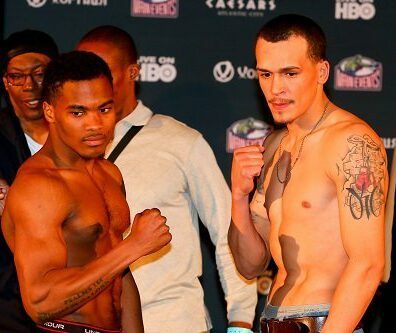 *Cedric Agnew originally weighed in at 175.8 lbs. After 45 minutes, he weighed in a second time at 174.4 lbs. Atlantic City, NJ: Saturday night the Russian wrecking ball Sergey “Krusher” Kovalev (23-0-1, 21 KOs) will make his second defense of his WBO Light Heavyweight Title against undefeated Cedric “L.O.W.” Agnew (26-0-0, 13 KOs) from Chicago, IL at the Ballroom at Boardwalk Hall in Atlantic City, NJ. Kovalev will be making his third appearance on HBO Boxing After Dark, but his first appearance in the hit series’ main event. Agnew will be making his HBO debut. Kovalev, 30, has had a stellar career thus far knocking out 21 of his opponents for an astounding 91% knockout-to-win ratio. He knocked out Nathan Cleverly in the fourth round on August 17, 2013 in Cleverly’s backyard of Cardiff, Wales to win the WBO Light Heavyweight Title in his first HBO appearance. Then on November 30, 2013 he traveled to Quebec, Canada for his first title defense and his second HBO appearance where he knocked out Ismayl Sillakh in the second round. Kovalev has knocked out his last seven opponents (two in the second round, three in the third round, one in the fourth round and one in the seventh round). 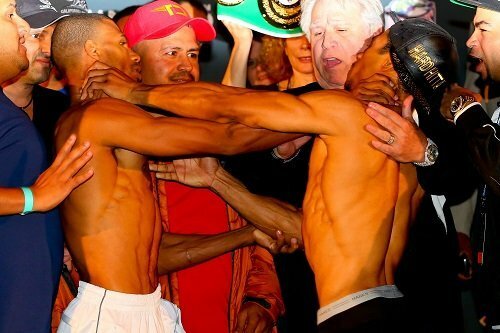 This will be his first title defense on US soil. 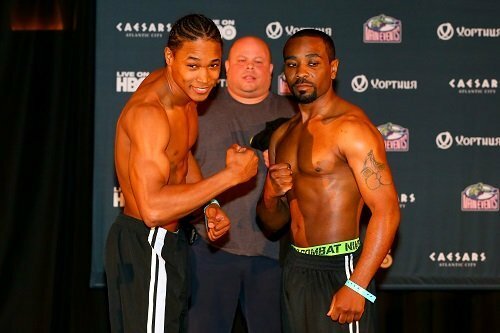 Agnew, 27, is also undefeated with a 50% knockout-to-win ratio. He knocked out Daniel Judah in the sixth round on November 3, 2011 in Dallas, TX to take the then vacant WBC US (USNBC) Light Heavyweight Title. Then Cedric successfully defended his title on May 3, 2012 when he defeated Otis Griffin via unanimous decision in twelve rounds in Dallas, TX. He picked up the USBA Light Heavyweight title on April 12, 2013 when he defeated Yusaf Mack in twelve rounds via unanimous decision in New Buffalo. This light heavyweight match-up is scheduled for twelve rounds but Kovalev has never been taken deeper than eight rounds in his professional career. The only time he went a full eight was in a split decision victory over Darnell Boone on October 9, 2010 in Atlanta, GA. Cedric has gone twelve rounds twice in his career (a unanimous decision win over Yusaf Mack on April 12, 2013 and a unanimous decision win over Otis Griffin on May 3, 2012 ) and ten rounds once (a unanimous decision victory over Rayco Saunders on May 1, 2008). In order to defeat the Krusher, Cedric’s best strategy is to try to outlast the Russian into the later rounds – that is, of course, assuming he can handle Kovalev’s intense power.